According to the new Suzdal Diocesan Herald, three priests of the ROAC have been suspended since July 26: Frs Victor Melehov, Spyridon Schneider, and Christopher Johnson. The date of the Ukaze is July 13/26 and is for “schismatic behavior”. This would be the second clerical investigation in two weeks after the Ukaz issued for an investigation on Hegumen Gregory (Lourie). Fr Spyridon Schneider was well known in ROCOR as one of the early founders of the HOCNA schism, along with Fr Victor Melehov. 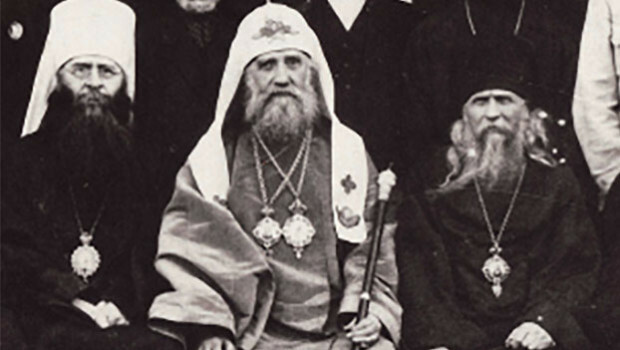 Fr Spyridon returned to ROCOR a few years later and fled again in 2001 with the ROCOR split. Fr Victor joined ROCOR (V) from HOCNA in 2001 and both priests left under charges of scandal, finally coming to ROAC last year after leaving the Kallinkite Synod of the TOC of Greece. Fr Christopher Johnson joined the pair in leaving the Kallinikite Synod in early 2004. The Ukaze accuses the group of attempting to lure a catacomb convent in Suzdal of going into schism. The text of the Article is below. 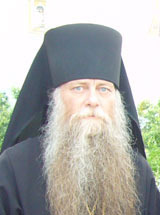 His Eminence Metropolitan Valentine, First Hierarch of the Russian Orthodox (Autonomous) Church, by order of ukase #63, issued by him and dated July 13/26, 2005, has suspended three clerics in the USA from serving: the rector of Holy Resurrection Church in Worcester, MA, Archpriest Victor Melehov, the rector of St. John the Russian Church in Ipswich, MA, Archpriest Spyridon Schneider and another priest from the same parish Fr. Christopher Johnson. According to the ukase, the above mentioned clergymen were suspended “for violating church discipline, intrigue, refusing to commemorate their ruling bishop at divine services, spreading negative propaganda among their fellow clergy, and fomenting dissension at the Deposition of the Mantle Convent” in Suzdal. On or about the middle of July, Fr. Victor Melehov secretly came to Russia, and held a meeting in the town of Dimitrov, to which he invited Archbishop Anthony of Yaransk and Vyatsk with the aim of luring him into schism, and with his help, and with the help of Archbishop Seraphim of Sukhumsk and Abkhazia, whom they also intended to lure into schism, to have their candidate consecrated as bishop for the USA, and become independent from the Church in Russia. Melehov and Schneider ceased commemorating their ruling bishop, Metropolitan Valentine of Suzdal and Vladimir, at their divine services, and put heavy pressure on Archpriest Dionysi McGowan, the rector of St. Basil if Kinishema Church in Colorado Springs, attempting to lure him away into schism as well. On July 20th, Fr. Victor’s parishioners from his communities in Moscow and Dimitrov arrived in Suzdal where they endeavored to lure Catacomb Skhi-Igumenia Euphemia, Mother Superior of the Convent of the Deposition of the Mantle, into schism. Archbishop Anthony uncovered the plot at the July 21st session of the Hierarchical Synod in Suzdal. Frs. 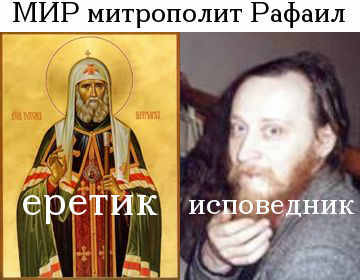 Victor Melehov and Spyridon Schneider are well known in True-Orthodox circles for frequently changing their jurisdictional affiliation and for causing situations of unrest.